"Sometimes the finals are not how you dream them". That is how Andrés Iniesta summed up his final match with the Spanish squad, which took place this Saturday 1st July in the Round of 16 of the World Cup. 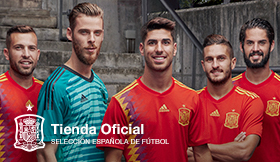 After Russian's win over Spain in the penalty shootout, the Spanish footballer stated: "It's true that it is my last match with the National Team, on a personal level it's the end of a magnificent phase. Overall, I think it's the saddest day of my career." "There's a relay, there are players, the important thing is to find the way to success again, it is not easy, it is more complicated than it seems, but the National Team will continue ", said Andrés Iniesta in Moscow. 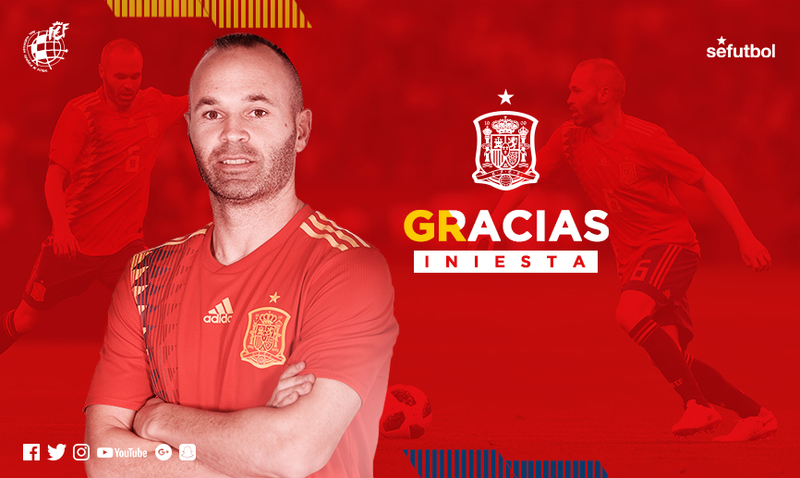 After winning a World Cup and two EUROs with the Spanish side, Andrés Iniesta leaves the National Team with a spectacular record of 131 caps, of which he has won 96, tied 15 and only lost 15 games. "There's a relay, there are players, the important thing is to find the way to success again, it is not easy, it is more complicated than it seems, but the National Team will continue ", said Andrés Iniesta, who will play in Japan next season after winning 8 leagues, 4 Champions Leagues, 3 European Supercups, 7 Spain Supercopas, 3 FIFA Club World Cups and 6 SM el Rey Copas, in addition to a World Cup and two EUROs with the National Team. Spanish football will miss you. Thank you for everything, Andrés.